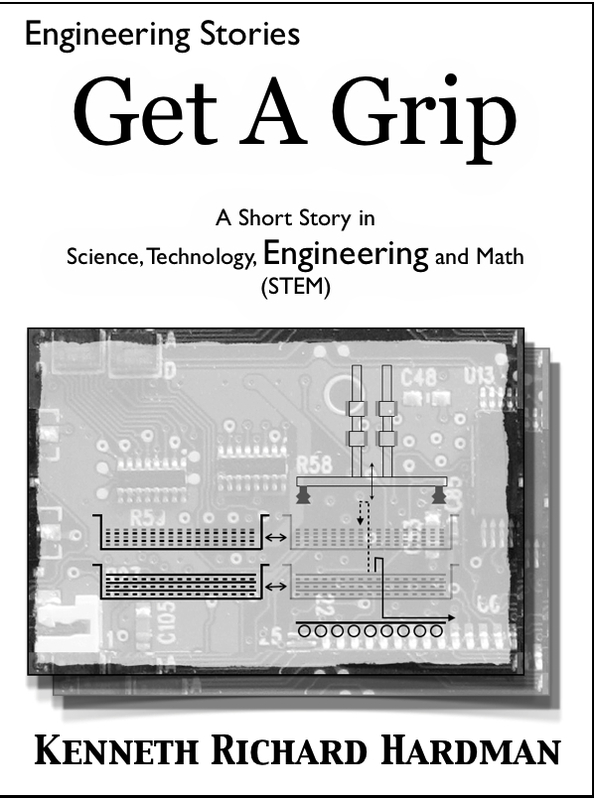 PDF – In Get a Grip, a young engineer is assigned to an experienced engineering team responsible for developing critical automation in the manufacture of smart phones. She travels internationally with the team, generates concepts, and helps the team struggle through difficult setbacks and technical problems. PDF Online – In The Orbital Mechanic, a solar flare knocks a space probe off course endangering a billion dollar mission. A simple timely solution comes just in time from an unlikely source to save the spacecraft. 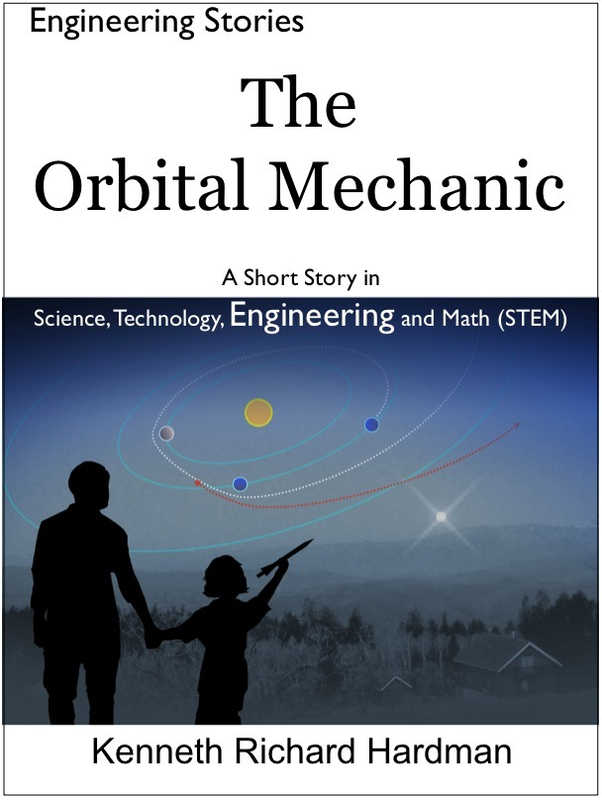 In this story, learn how engineers use science, math and physics to get spaceships from Earth out to distant planets. Hi are there STEM stories involving Architecture, Microsoft , Civil Engineering, Quantitative Surveying and Engineering Graphics And Design? Matlhatsi, I’m not aware of this style of stories for the subjects you mentioned. I wish someone with those expertise would write them. I’ve tried to write one (and hope someday to write more). Would be interested to know what you think! Where did the nice covers come from? With the exception of The Orbital Mechanic, I made the covers and cover art. I’d love to cross over into manufacturing; actually, I see significant overlap between mechanical engineering and manufacturing since many engineers are heavily involved in developing manufacturing systems. I have been involved myself in many developments. As an example, my story, “Get A Grip,” or “Cutting Edge” are examples of engineers development custom automation. I teach engineering classes as a science/math elective at an all-girls high school and would be interested in using your stories, especially ones that show women in engineering roles. They will be especially useful in my introductory design class. Thank you! Janet, Welcome to Engineering Stories. May I recommend, “Get A Grip,” “Cutting Edge,” and, “The Ribbon Cutting,” which show women in engineering roles. I look forward to hearing about your class experience with these stories. Agreed, this site is a great idea. Stories are much more accessible. These are amazing! I am a first year science teacher who is teaching an Engineering course. This is the first time that the school is offering this course, and there is very little software that the school has. I have been looking for case studies and stories to go with my concepts. I will definitely use these! Thank you! Rachel, I am pleased you will be using my Engineering Stories. For research and improvement purposes, please provide feedback. Kenneth, would you consider doing a story involving the STEM engineering aspect of The Physics of Motorsports from http://www.msfta.org? High school go kart racing angle? Great stories…looking forward to reading them all. These are some great stories. Being a mechanical engineer myself, I think the stories really capture what it is like to be an engineer. Very inspiring for young men and women looking at a career in STEM. I will be coming back to read more stories in the future. Thanks Austin, Please forward the link to your peers. I wish you well in your career. I too enjoy engineering very much. Thanks for your interest. Please forward the link to others who may be interested. I really like these stories and think this is a great way to share them! The new site looks fantastic. I’m excited to read all of the stories posted thus far.